Over a year ago at one of our events, a few different sisters in the circle started discussing the possibility of wearing their hair out on the same day. You already know how it went down: we had been talking that jazz about organizing, black aesthetics, and communal affirmation. What better way, the folks gathered rhetorically, to put those ideas into practice than with coordinating the day that they rocked their fros? Of the 100 public programs that we did last year, none were as far-reaching as the natural hair exhibit, which in some ways, blended all we do with poetry, visual presentations, mixed media, outreach, politics, representation, and intellectual engagement. Months later, folks were still debating the politics of rocking naturals at SIUE. To extend the conversation, we'll represent with the exhibit again. 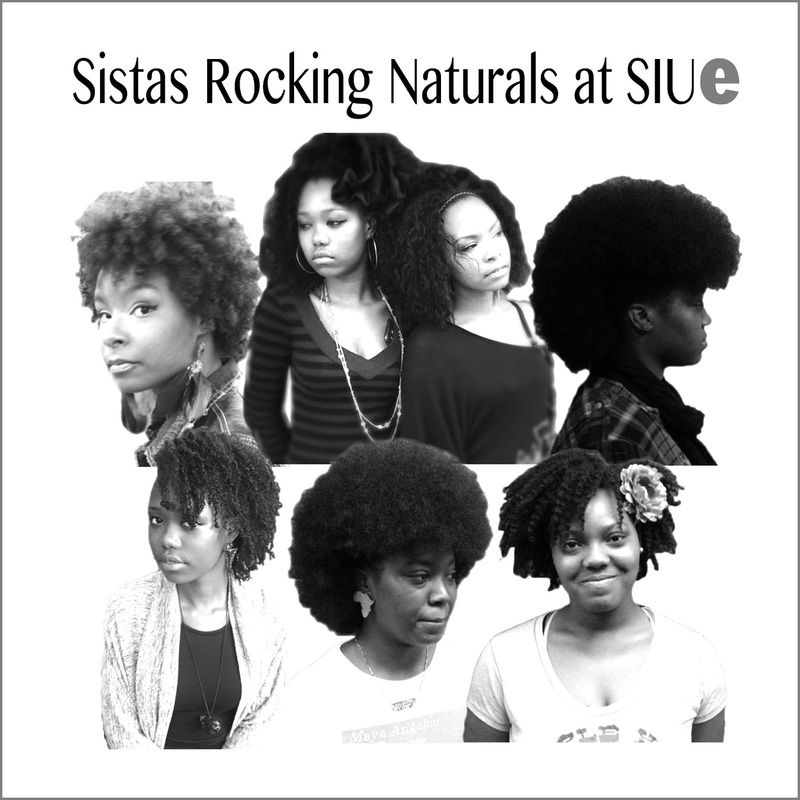 Here's the deal: On February 25, from 12:00 - 3:00 p.m. and on February 26, from 11:00 a.m. - 2:30 p.m. on the first floor of Lovejoy Library, we'll run our exhibit "Sistas Rocking Naturals @ SIUE."